I found this 1963 Dunhill shape 552 on Ebay last week. The auction ended early in the week at an odd time and it went largely unnoticed. It looked to be in pretty decent shape, but with some bite marks on the bottom of the stem. 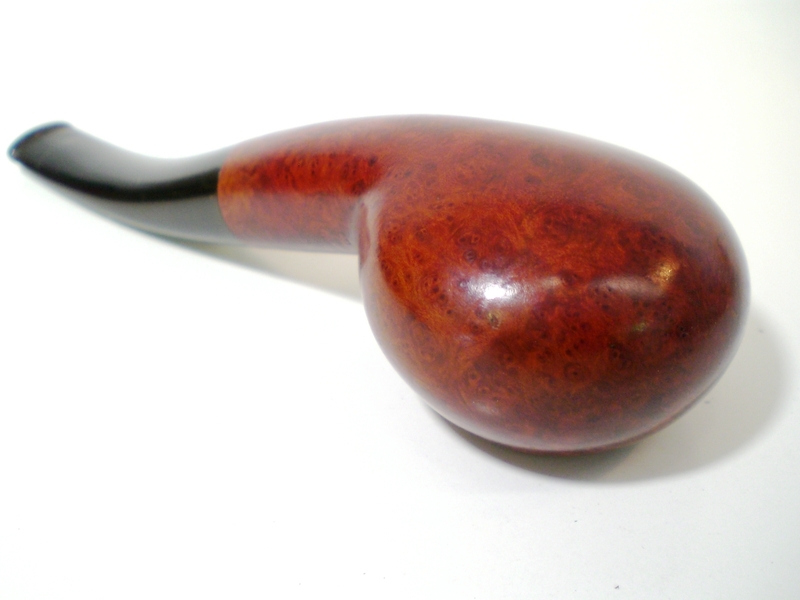 It is a Group 4 pipe in Bruyere finish (A = Bruyere) At first, I thought it was a Rhodesian, then later thought it looked more like a tomato. Neill Archer Roan commented that it had some Diplomat DNA. The pipe was delivered today. It was pretty much as pictured, but I also discovered it is a 6 mm filter pipe. 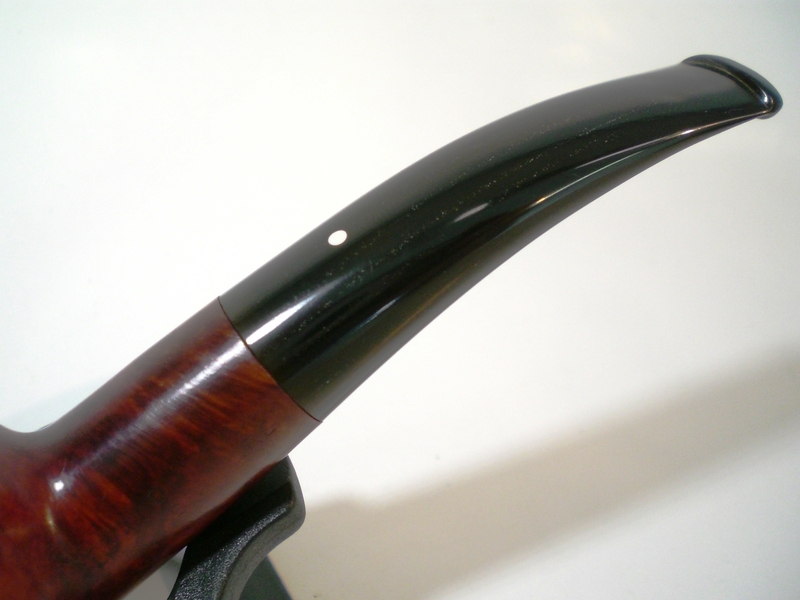 The briar was in great shape, with a little tar and rim darkening. There were no dings or bruises to deal with. The stem was also in decent shape and only lightly oxidized. There were a few light teeth marks on both sides of the stem, and all but one lifted out with some heat from a lighter flame. The bowl had a fairly thick cake and I reamed it with my Castleford bit set. The bowl was then soaked with Everclear and sea salt. I polished the stem with some 800 grit wet paper, followed by 1500 and 2000 grade. Then I moved to the micromesh, 8000 and 12000 grades were used. 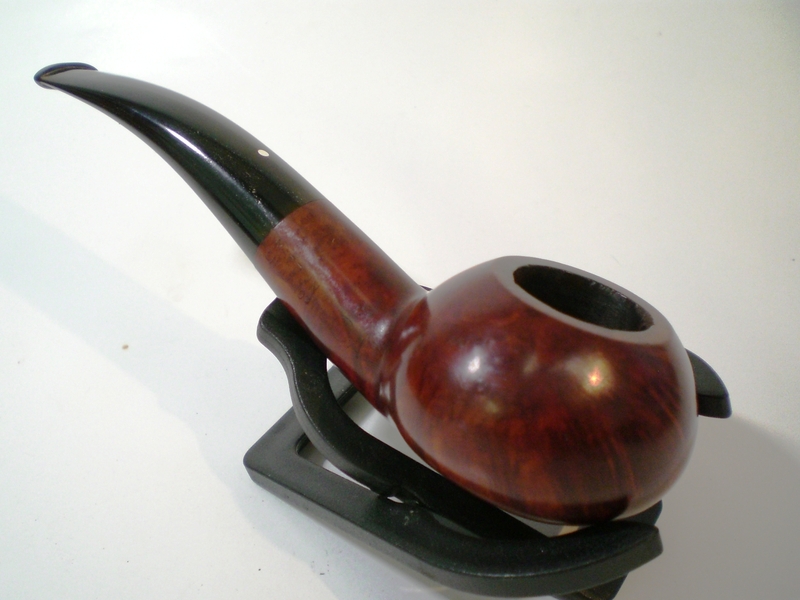 I gave the stem a light buff (mounted to the briar) with some White Diamond. I have a bar of jewelers “Red” rouge on order and I’m curious to see how it compares to the White Diamond for finish work. The stem has some odd marks in the vulcanite, almost like an imperfection. I could not remove them by sanding or buffing. 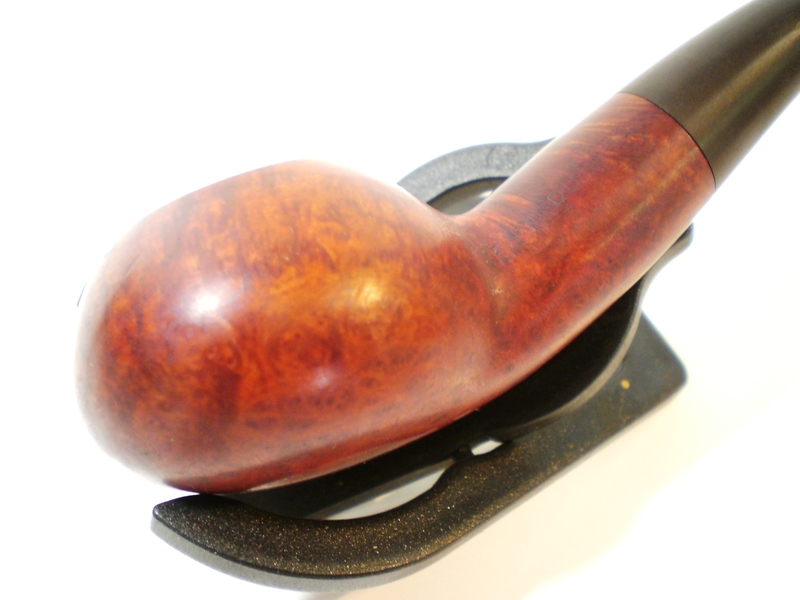 I polished briar lightly with some 8000 grade micromesh, keeping away from the weak nomenclature. 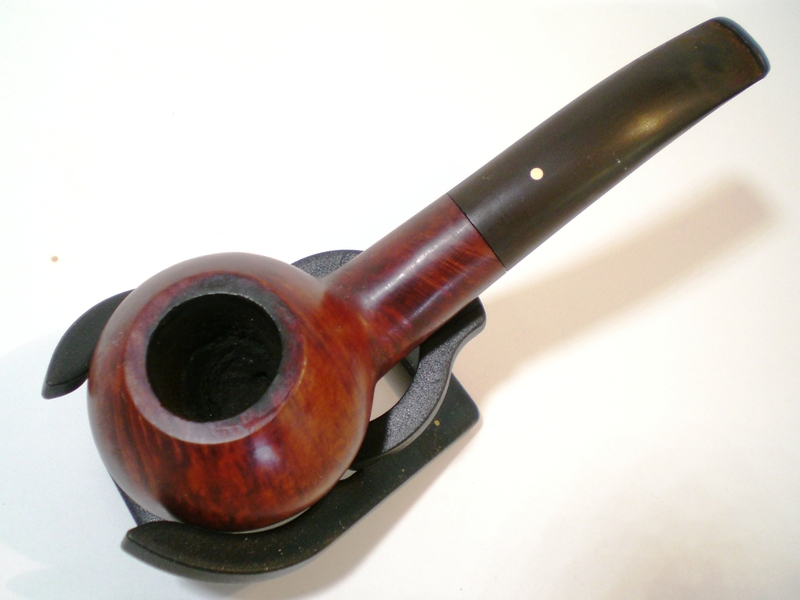 I then buffed the bowl, again lightly with White diamond and then several coats of carnuba wax. After searching online for several days, I couldn’t find out much about this shape. 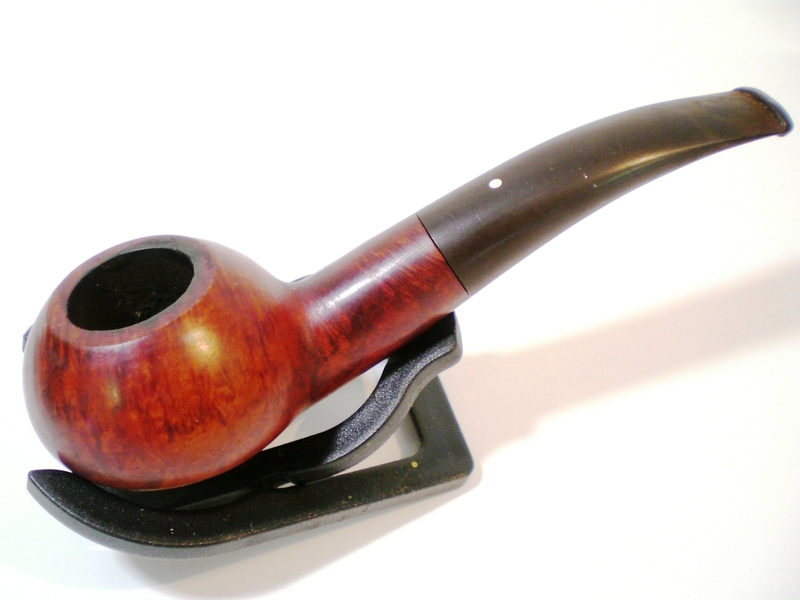 I found only one other shape 552, a shell finish pipe sold at an Ebay auction in 2007. 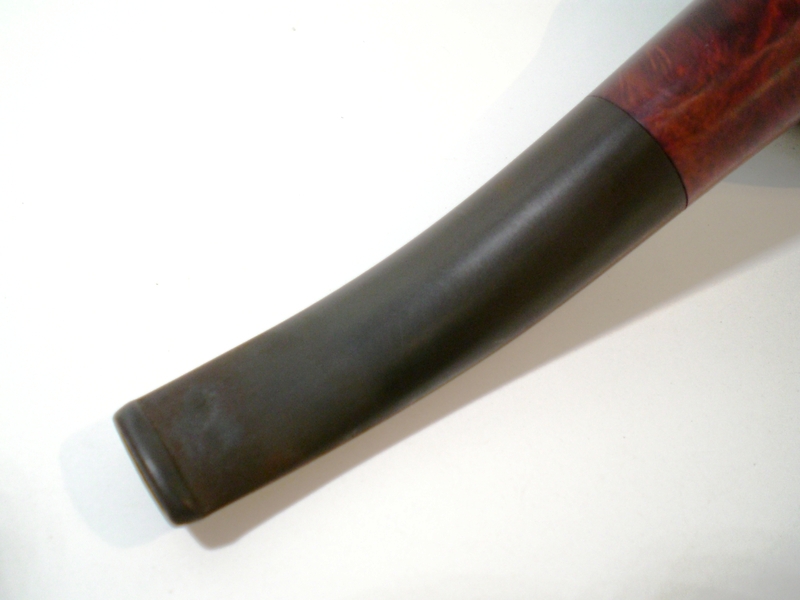 The 552 is also not on any Dunhill shape chart (Loring, etc.). On the SmokersForums.uk in the “Streets of London” social group, one member there, dmcmtk (Dave) said he has a shape 556 from 1963. He had heard Dunhill was experimenting with shape variations at this time and perhaps my 552 was part of that experimentation. I have emails out to several Dunhill collectors, but haven’t yet received a reply. If you know anything about this shape number, please comment. This entry was posted in Pipe Refurbishing Essays and tagged bite marks, Bowl - refinishing, micromesh sanding pads, Oxidation, pipe refurbishing, polishing, polishing a stem, polishing stems, refinishing, removing tooth marks, salt and alcohol treatment, stem work, waxing, waxing a stem on September 11, 2013 by upshallfan. 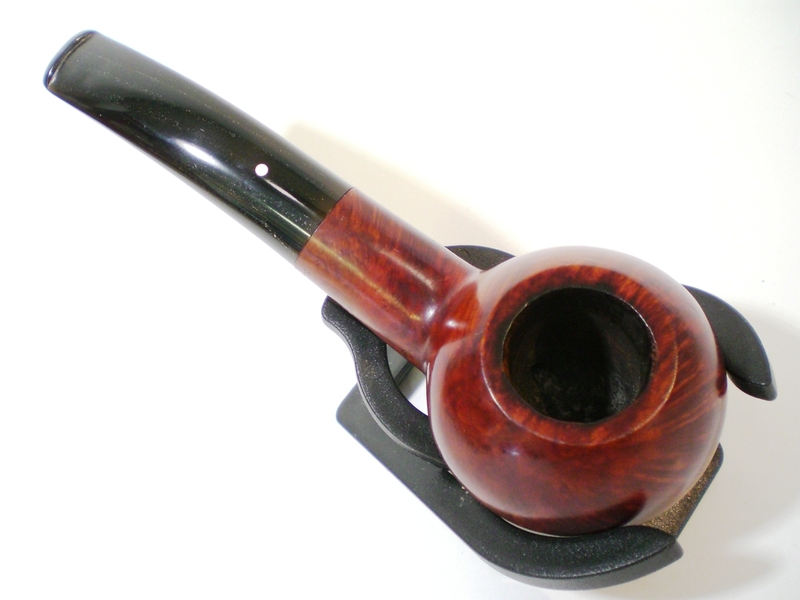 Good morning I m Francesco from Italy and I have this pipe ! 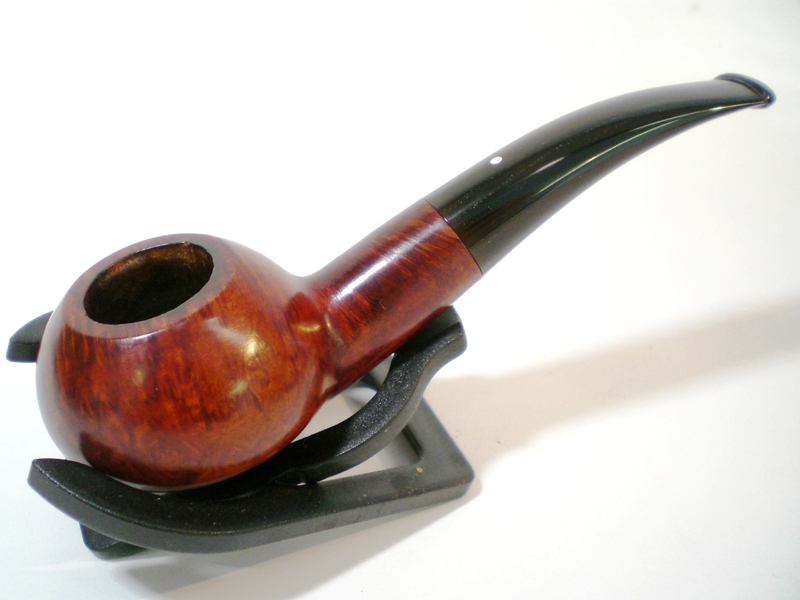 I m very glad to read your comments about this wanderful pipe …. I remember that the friend who give me this pipe from the collection of his grandfather told me that it was a special pipe especially made for hunters due to the special form the allows the pipe can fit in the pocket of a hunting jacket…..
That is a very unusual shape Francesco! Beautiful pipe, Al; and really nice refurb!! From certain angles, it almost reminds one of a tadpole, eh?? Love the shape and finish. You are right, tadpole was the shape name that escaped me, but definitely comes to mind. I’ll let it dry out another day and smoke a bowl thru it tomorrow. I’m very curious as to how it does sans filter. The draw feels normal, so I am hopeful for a pleasant smoke. I guess to some extent, without the filter, it is a mini-double chamber pipe. Very nice pickup, Al. Its a beautiful pipe in a great shape! 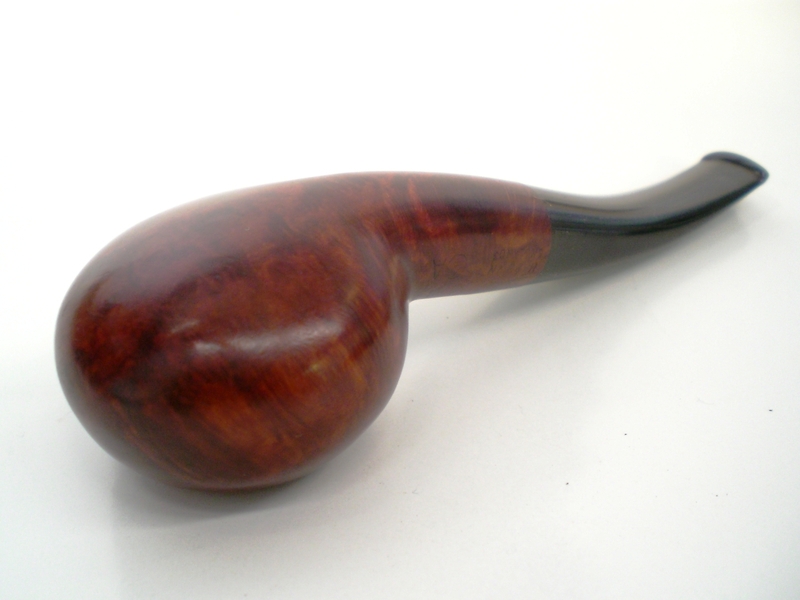 Beautiful pipe Al. Nice work. I have not seen a Dunnie in that shape before. I posted a blog article earlier on Dunhill filters. I have a package of them that may well be made for that pipe. Have a look at the article and let me know.